There has been a sustained surge in the deployment of data management platforms across global enterprises in the recent past. Data management platforms enable structured and seamless collaboration between marketing personnel and publishers and are in great demand among small, mid-sized, as well as large enterprises. In a study published by Persistence Market Research, the growth trajectory of the global data management platforms market has been analyzed for a period of 10 years from 2018 to 2028. According to the analysis, revenue from the global data management platforms market is expected to increase from an estimated US$ 1,656.4 Mn by 2018 end to US$ 5,849.8 Mn towards the close of 2028, witnessing a decadal growth rate of 13.4%. North America holds the highest value share in the global data management platforms market, with the market in SEA and Others of APAC projected to witness high growth in the coming decade. While U.S and Canada are slated to remain key markets for sustainable revenue generation in the global market for data management platforms, adoption of the latest technologies by companies in SEA and Others of APAC is pushing growth in revenue in these regional markets. 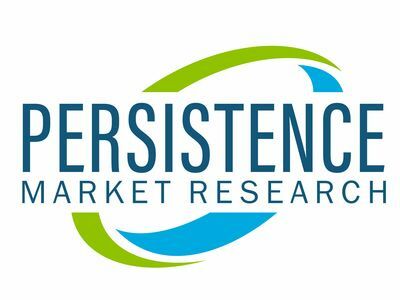 Persistence Market Research further establishes the BRICS countries as potential markets for data management platforms in the coming years. Companies operating in the global data management platforms market are targeting the growing markets in the Asia Pacific and Middle East & Africa regions to cement their footing in the global market and enhance business profitability. There is an increase in demand for innovative enterprise data management platforms across diverse industries in these regions and companies are coming up with new and enhanced solution offerings to capture the markets across these regions. Ever since the cloud has proliferated the entire IT ecosystem, organizations have been quick in the adoption of cloud-based data management platforms as a viable and more effective alternative to on-premise systems. Heavy investments in cloud-based data management platforms are pushing revenues in the global data management platforms market, placing the market on an exponential growth trajectory. Cloud-based data management platforms provide more flexibility, scalability, agility, and increased ease of use and convenience. According to Persistence Market Research, cloud-based data management platforms are estimated to hold a whopping market share of about 85% towards the close of 2028. Rapid digitization of banking and financial services has led to the deployment of advanced data management platforms across the BFSI sector. Data management platforms enable banking and financial institutions to interact with and study the preferences of their target audience. By tracking customers' past digital transactions, data management platforms facilitate a structured measurement of customer behavior and also provide centralized control over audience and campaign insights.